Home > Special Offers > Sales > Get the 2019 Sentra Today! 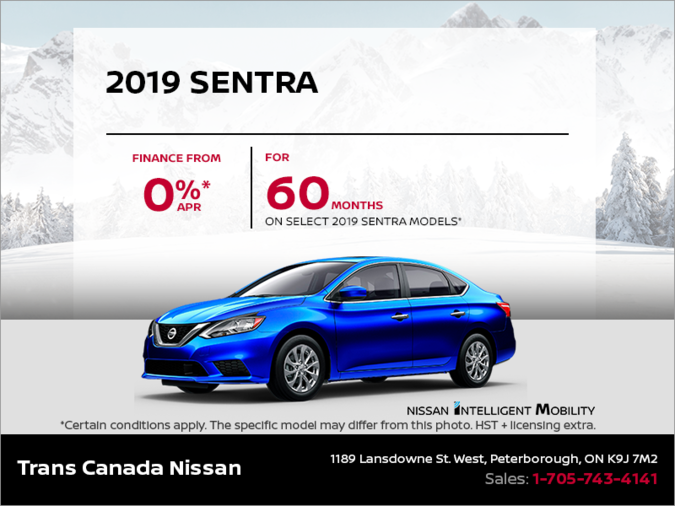 Finance the 2019 Nissan Sentra starting from 0% for up to 60 months on select models. 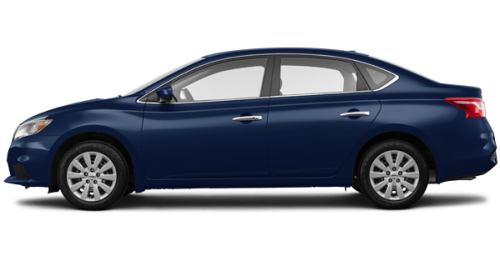 *Representative finance offer based on a new 2019 Sentra S. Selling price is $18,275 financed at 0% APR equals 60 monthly payments of $305 monthly for a 60 month term. $0 down payment required. Cost of borrowing is $0 for a total obligation of $18,275. $0 Finance Cash included in advertised offers on 2019 Sentra S.